With our newest release of Instant Chime 2.4, we've added enterprise IM alert capabilities. 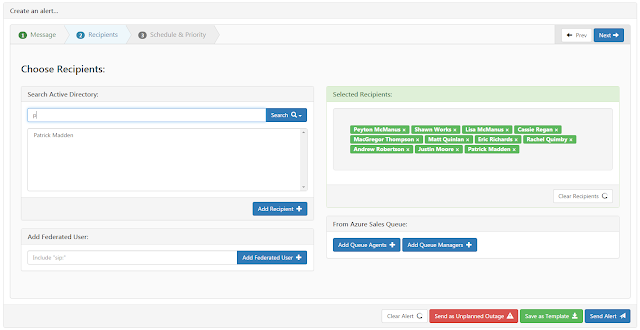 This allows you to easily create and send messages to individuals, groups, or anyone in your organization. You can schedule these messages to deploy instantly, or at a later date and time of your choosing. You also now have the option to choose when the alerts will expire so users who are away don't get bombarded with obsolete communication when they get back. Instant Chime can turn Microsoft Lync® 2013 / Skype for Business® into a massive, instant contact tool to deliver critical information quickly and precisely to the people who need it across your organization. 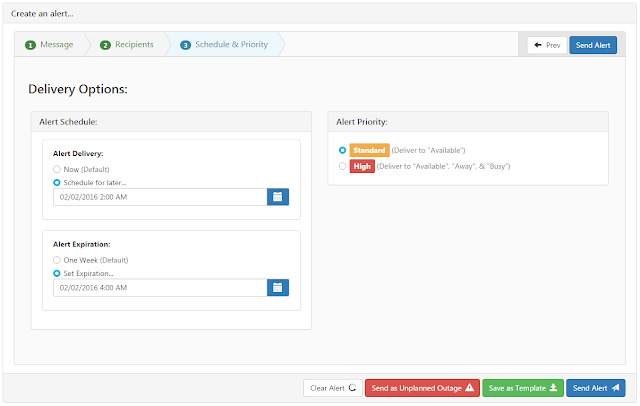 To make this easy, we built the Chime Alert Wizard. The wizard guides you through its simple, 3-step process. It also ensures that all required information is entered correctly, serving as a validation tool to prevent invalid or erroneous alerts from being created.